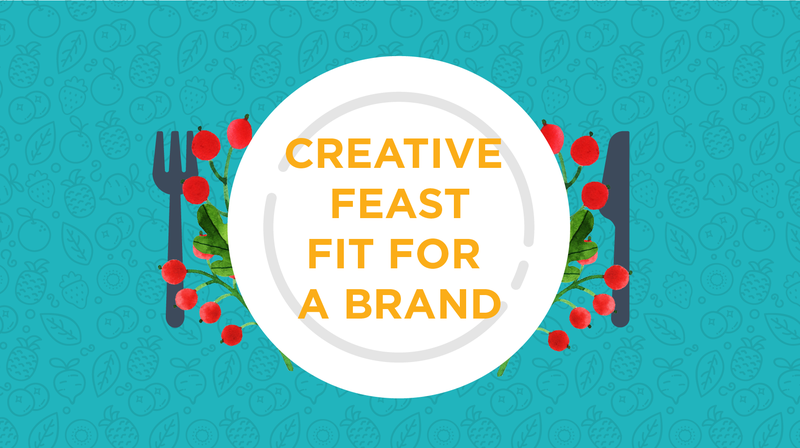 Creative Feast Fit for a Brand. 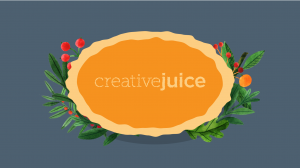 💻 Creative Juice | Atlanta Graphic Design, Web Design, Marketing Agency / Uncategorized / Creative Feast Fit for a Brand. Get nice and comfy as we welcome you to a succulent feast. 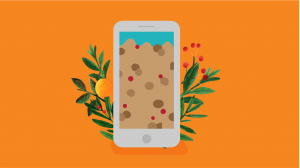 While it’s not the meal you had last Thursday, we will instead treat your business to some delicious bites of info that will make sure it’s at it’s best for the upcoming season—whether you’re currently going through a slow period or in the middle of your busiest time. So, sit back—relax—and let’s get started with this meal. As the most filling part of your business—the meat—your company’s identity system should reflect the core of your brand. 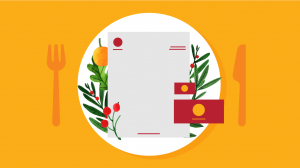 Attempting to provide your ideal clients a quality service yet giving them a flimsy business card or trying to lead in a digital space without updating an outdated logo is as bad as serving your loved ones unevenly-cooked turkey, which hopefully wasn’t the case this Thanksgiving. Do you have a color palette, typeface, and tone that you use consistently? Has it been a while since you checked on your logo? Does it have a timeless feel and still apply to your brand’s core or was it created on a whim? Do your current visuals appeal to your target audience? For example, are you using serious, black and white imagery when you’re trying to appeal to a young audience that enjoys use of color and playful illustrations? 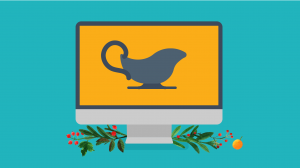 Just as the sauce takes its flavor from the turkey, your website’s quality depends on the strength of your identity system. In this growing digital world, you need some digital presence to reach as much of your audience as possible, as well as promote your business in a trackable way. Is there good contrast on your site, allowing what’s most savory or crucial to stand out (even if it’s in black and white?) Use this site to check. Where does your eye fall first on the page? Is whatever that is the most important? How are your site’s pages organized? Do you have a sitemap already or is it an over-seasoned mess that people have trouble navigating (vital for those with large amounts of product/pages). Next are your side dishes. These may not be the star of this feast, but they are just as memorable and satisfying as our main dish. Are you posting at least one thing weekly per channel? With this low entry point, you can work towards increasing frequency over time while still staying on people’s minds with consistency. Do you have a plan? By creating some structure for your social channels, you’ll stay on track. You can go even further and make sure you have at least 2 weeks of content warm and ready, so you can avoid playing catchup. 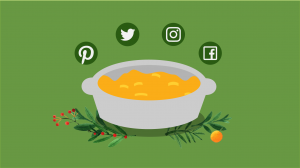 A delicious addition to the meal, content marketing is just as filling to your customers because it gives them more value in easily digested ways (for example, blogs, email newsletters, infographics, and more.) With this, you’re both bringing in new clients and keeping your existing ones loyal and engaged. Are they influenced by your brand’s identity system? How often do you use these in a year? 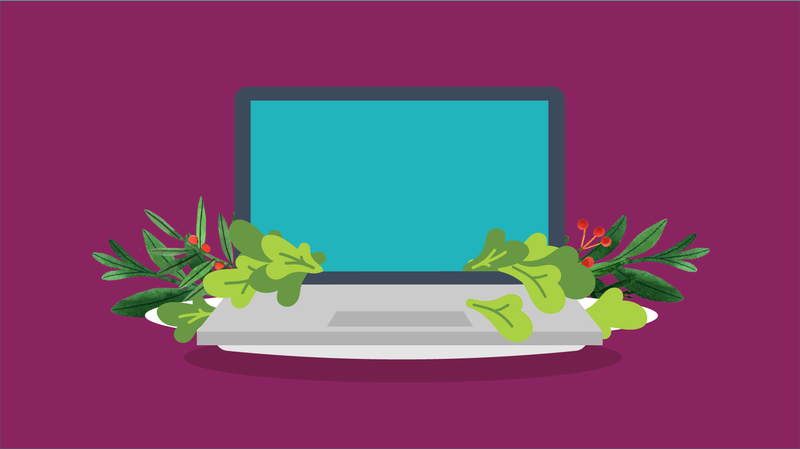 It might not seem like an essential dish to you, but Search Engine Optimization (SEO) is very healthy for your brand. It boosts your company’s web presence by increasing visibility and making it easier for search engines like Google to index your site for more people to find. Are you naming your images as descriptive as possible? Are you ranking at least one keyword unrelated to your company’s name? Now that you’re full from this feast, we hope you saved room for our pumpkin pie. If after reviewing this smorgasbord you find something that seems daunting, contact us for an audit, consultation, or to start a project, and we’ll help you clean that plate. Hope you had a wonderful Thanksgiving and stay creative!